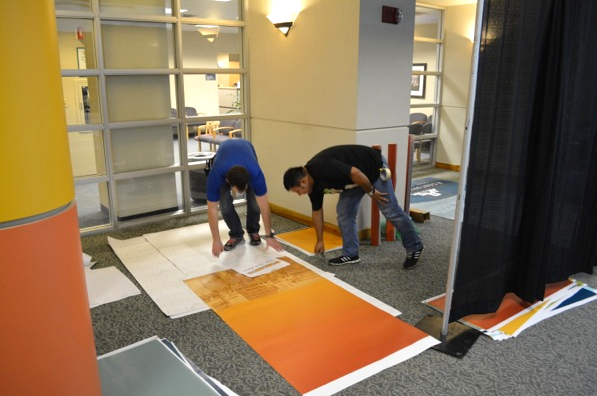 Nearly two years ago, Heurista began working with the Tuomey Medical Center to research and design a history exhibit to launch their centennial celebration. The project was based around a series of historical characters and the custom branding for the centennial year. The history exhibit was launched in conjunction with a new look for the hospital's website. The logo and color palette will play out over billboards, print ads, banners and themed apparel designed throughout the centennial year. 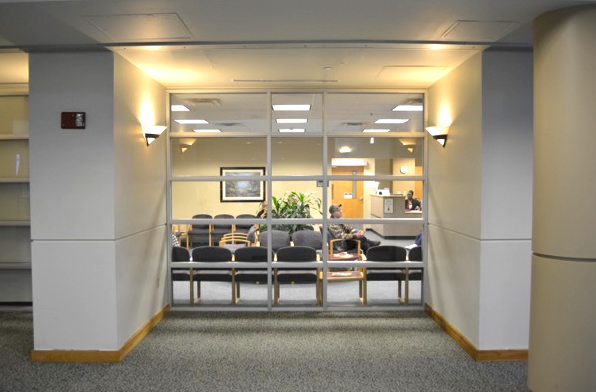 The lobby is a clean, contemporary space, with lots of glass. The exhibit will provide a colorful "punch" for the centennial year. The design called for vinyl covering for the existing windows and walls, as well as custom painting of the columns in front of the exhibit spaces. Heurista focused on elaborating the centennial themes–service, pride and healing. We used created a design customized for the available space. The exhibit used a collage of historic photos on the walls. Stories were conveyed by individual life-sized cutout figures of people with past and current ties to the hospital. Overhead banners introduced the centennial logo and colors. The exhibit was designed with functionality, durability and cost-effectiveness in mind. While the graphics will be on display for a full year, the exhibit is ultimately temporary. Installation was coordinated with the client facilities staff, who will remove the exhibit at the end of the year. Digital printing and brightly colored paint bring visual impact but can be easily removed or repainted. The exhibit was unveiled on February 11th, 2014, the centennial anniversary of the Tuomey Hospital. Media coverage and a "birthday party" kicked off a year-long celebration. Employees and visitors alike were excited to see photos–often of themselves–and learn more about the role of the hospital in their community. "We had a vision for our 100th anniversary display, and the team from Heurista brought it to life. And it was even better than we had hoped for. The people were fantastic to work with from beginning to end, and they made this project so much fun!"